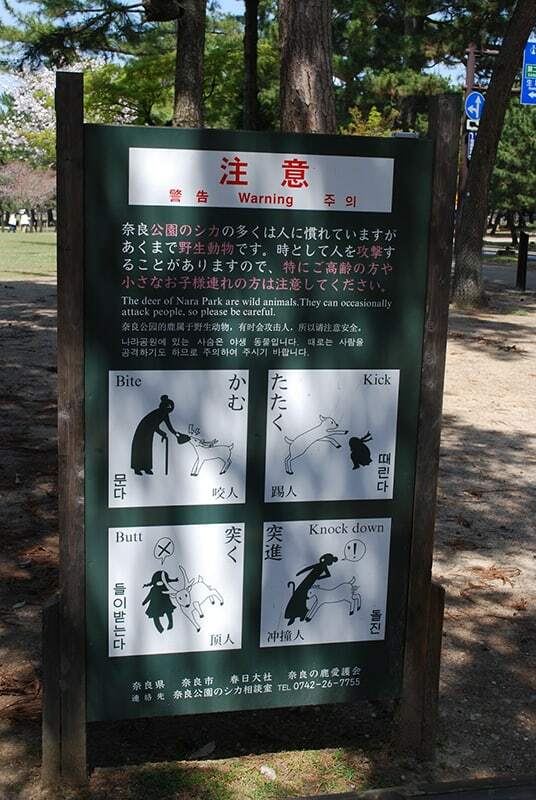 Nara is a remarkable place. The buildings there are some of the oldest in Japan. 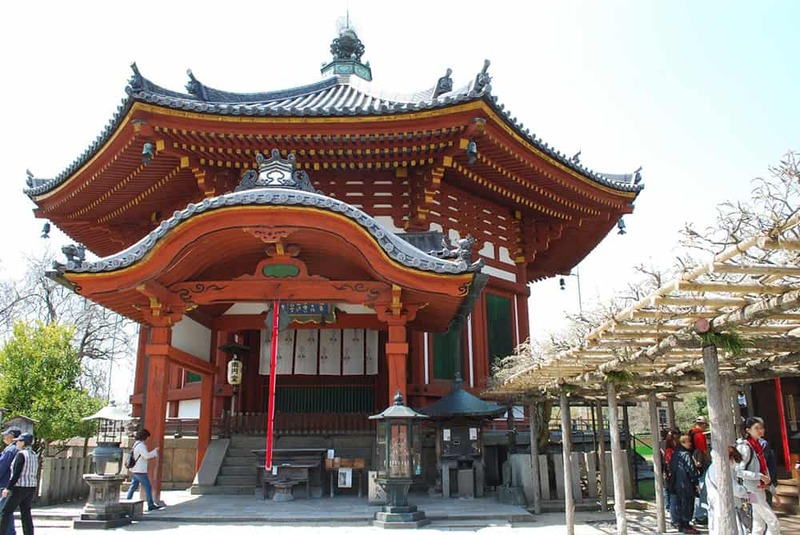 It was the capital of Japan from 710 to 785, which made is a political, and social center of Japan. 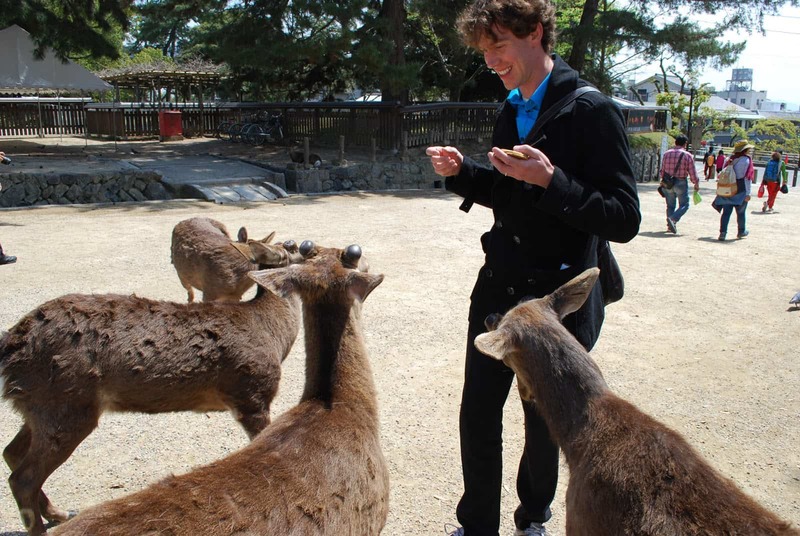 The most remarkable part of Nara for me, was the Nara deer park. The deer there have been living peacefully with humans for hundreds of years, and until the 1600 hundreds, killing one of the deer was a crime punishable by death. The deer are still protected as national treasures, though the punishment is a little less severe. The deer have learned to live in harmony with humans, and freely roam the park interacting and accepting treats from humans. 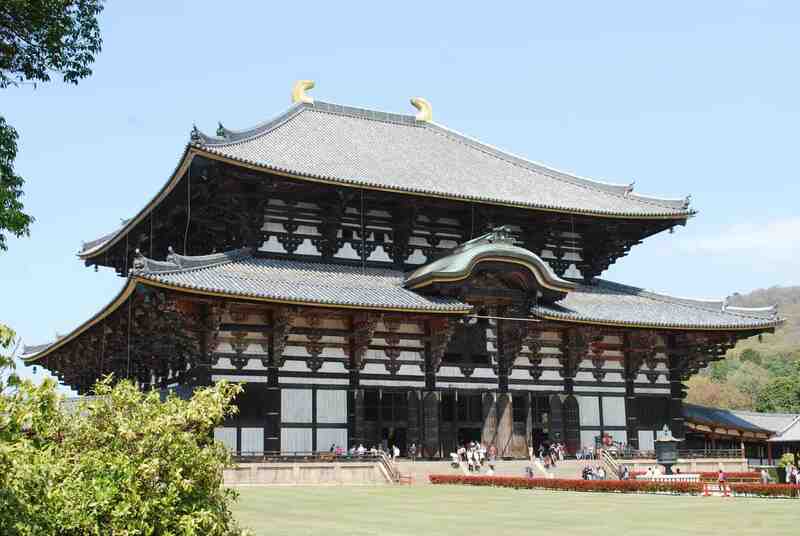 There are several world heritage sites in Nara, Todai-ji, a temple, is the largest of them. 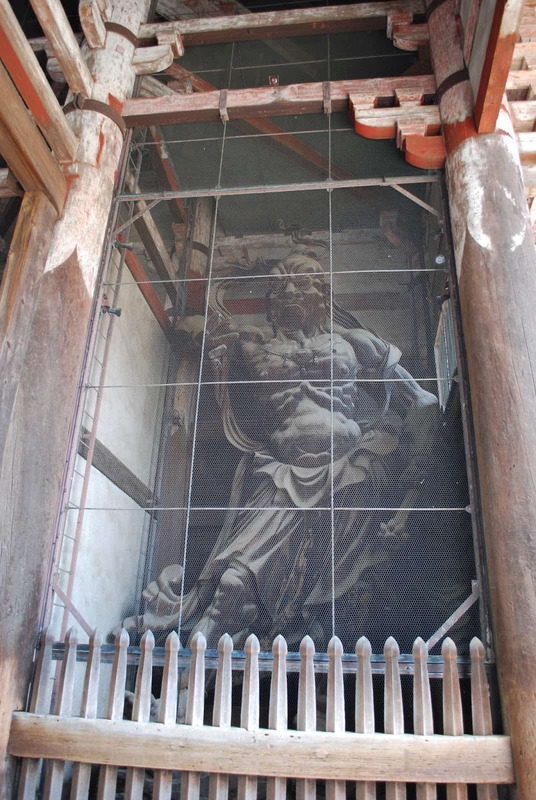 The temple is remarkable, the ancient architecture and chipped paint take you back in time. The temple is massive, the biggest I have ever been to. 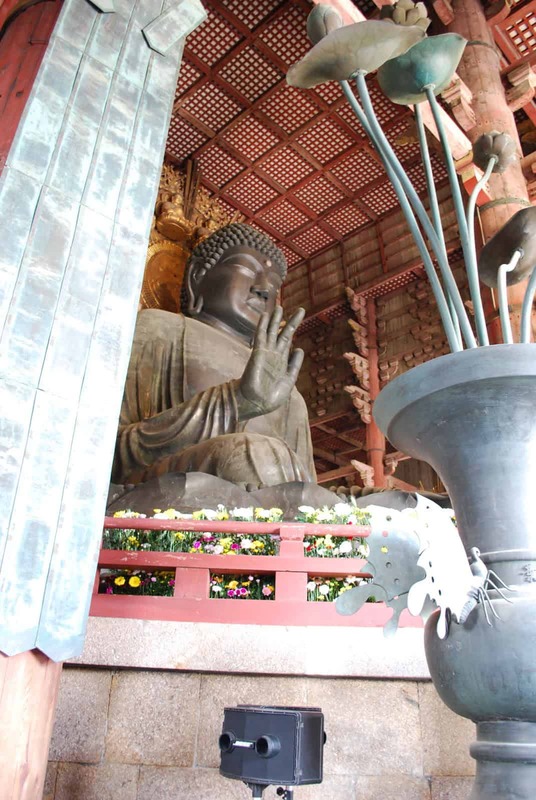 Inside of it is the biggest Buddha I have seen in Japan. It is 14 meters tall and weighs 500 tonnes. 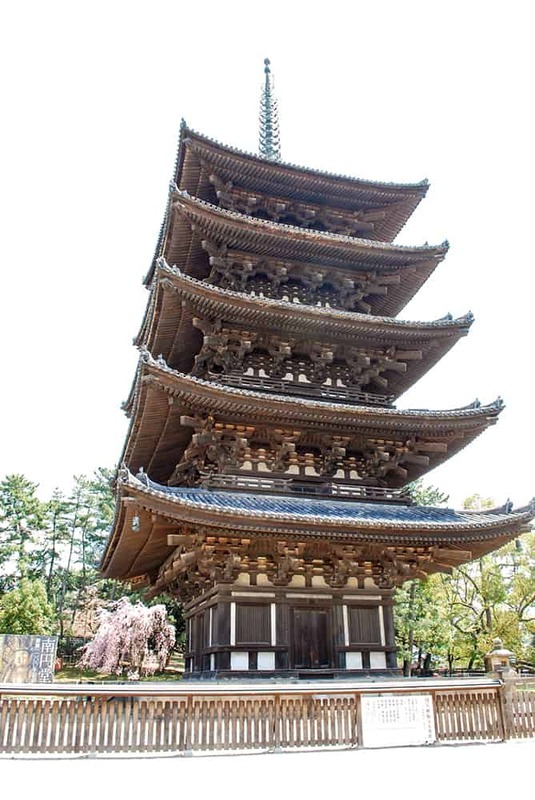 Also in Nara Park is Kasuga-Taisha, also known as the Shrine of 1000 lanterns. Over a thousand stone lanterns lead the way to the shrine, and hundreds of lanterns hang within the shrine.